Can You Have Dual Citizenship? Dual citizenship is allowed for under the United States according to how the citizenship and naturalization services of the nation interact with those of the laws and regulations in the same area on the part of other countries. The legal place of dual citizenships within the country can be referred to, by individuals who have discovered or suspect that they fall under this category, on the source of the Bureau of Consular Affairs, an administrative component of the State Department. As one example of dual citizenship, the Bureau of Consular Affairs can observe this kind of status on the part of the children who are born to U.S. citizens in the jurisdiction of other countries which allow for citizenship by dint of birth, as is also true of the United States. U.S. law, in general, does not hold any prohibitions against dual citizenships, but also does not generally refer to the place of dual citizenship. As such, dual citizenships are subject to the particular circumstances of the specific case, rather than statutory regulations. Dual citizenship may result for a U.S. citizenship as a result of how that person chooses to conduct the Naturalization process, which is administered in the U.S. as one of the functions of the U.S. Citizenship and Immigration Services (USCIS). In such a case, dual citizenships will be realized by individuals who successfully become U.S citizens but choose not to allow their citizenship to end or lapse in the nation in which they were originally resident. 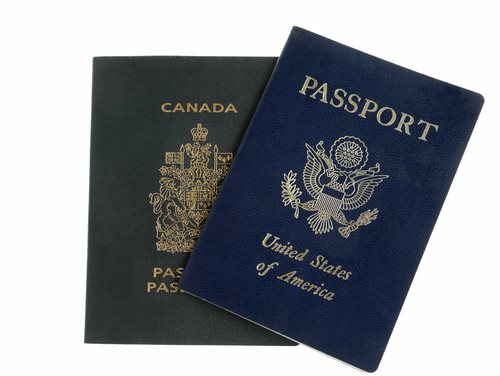 On the other hand, the prospect of whether dual citizenship can be realized for people who are already U.S. citizens, and in such a case have obtained citizenship in another nation, can vary according to whether the citizenship of this sort was administered to that person voluntarily or automatically. In one common instance of dual citizenship being realized for a person who was originally a U.S. citizen, as is explained on the Bureau of Consular Affairs website, a person can be relegated dual citizenships as a result of marrying a foreign national from a nation which automatically provides citizenship to the spouses of citizenship, regardless of whether or not consent is provided for this recognition. On the other hand, dual citizenship may not result for individuals who choose to become citizens of other nations as a function of its own, separate from any other form of legal process such as marriage. The U.S. may remove citizenship from a person who was formerly an American citizen, rather than allowing dual citizenship, if that person’s citizenship in another nation was obtained by choice and included the demonstrable intent to cease to be an American citizen. Dual citizenship can complicate and potentially confuse the legal status and individual obligations of an individual falling under this category due to the imposition of requirements to obey the laws of both nations. In general, dual citizenship can be modified to some extent by a person’s place of residence.